I don’t speak Japanese but my Google translate friend did it for me (hopefully it is correct). 技はあなたの中にバンプ (Waza wa anata no naka ni banpu). The “technique bumps into you” said sensei during class on Friday. What I understand is that by trying too hard to do something we give openings to the attacker. Natural movement is achieved by simply waiting long enough until uke comes with an opportunity for us to seize. Obviously at the beginner’s level thing are different as they have to learn the forms in order to incorporate them into their body language. When you begin to develop the natural flow, things change. Nothing is predetermined in a fight, things are so fast that thinking is not possible. because of that the technique has to pop up in a natural manner. If this is easy to read and consequently to understand, I find it hard to do it. We are conditioned by years of repetition of “dead” techniques following the “1, 2, 3” pattern (1). Therefore reacting naturally is nearly impossible. 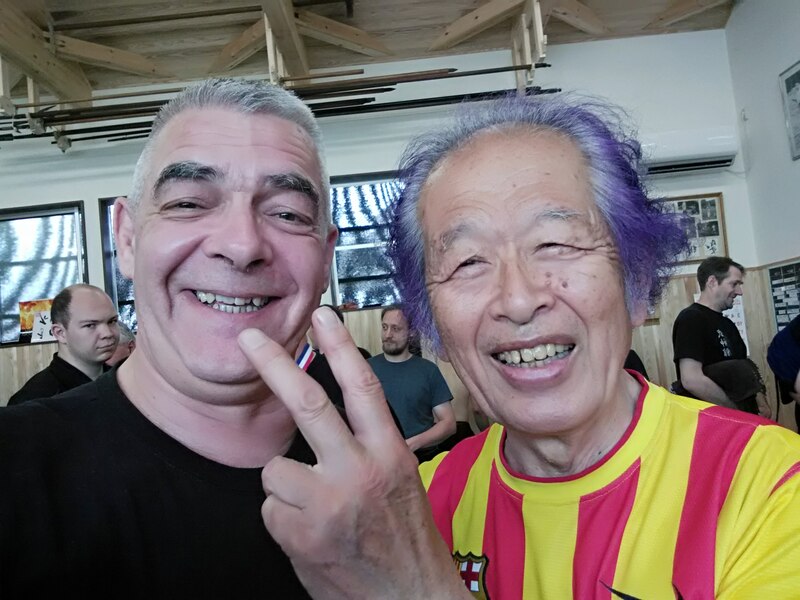 Yesterday night, I was speaking with another Bujinkan member and he said that the hard thing is to forget the habits we developed learning another martial art prior to the bujinkan. I confirmed it telling him that it took me about eight years to get rid of my jûdô habits! What is true with another martial art is even more true when it comes to Bujinkan training. We begin with the tenchijin, and continue with the ryûha, and the weapons. Each new waza has to be drilled hundred of times before we begin to understand it with the body and not anymore with the brain. Humans are body and brain and once the brain knows /understand what to do, it takes years for it to pour it into the body. This is the famous triptych: taihen, kuden, Shinden. To be able to let the technique bumping into you requires the shinden level. This is the “shin” in the shingitai concept. Train your basics, make them yours, develop your own body movement and you will achieve this technical level where exists “waza wa anata no naka ni banpu” or where “the technique bumps into you”. 1. I call them “dead techniques” because they are only a drill and there is nothing realistic, no threat, no danger.